Crunch into these artisanal hand-cooked potato crisps from Spain. 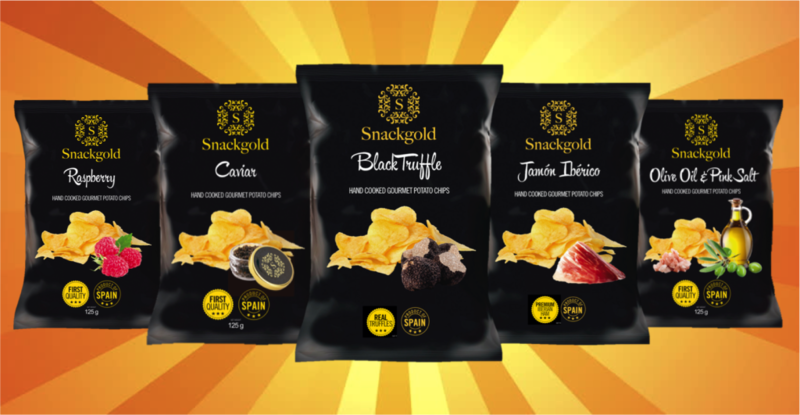 Snackgold Gourmet Potato Chips come in five delicious flavours:Black Truffle (containing real black summer truffles, not synthetic truffle oil), Jamon Iberico (premium Spanish ham), Caviar, Virgin Olive Oil & Pink Salt and Raspberry. Beautifully packaged in luxe black bags inlaid with gold foil. Snackgold won 8 awards for ‘Product Excellence’ at SIAL 2017, one of the world’s largest food exhibitions. 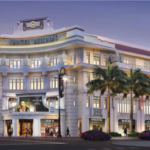 Exclusively imported in Singapore by Provenance Distributions. Interested in finding out more? Please browse through the Snackgold product kit. Interested in retailing Snackgold at your establishment? Feel free to contact us.